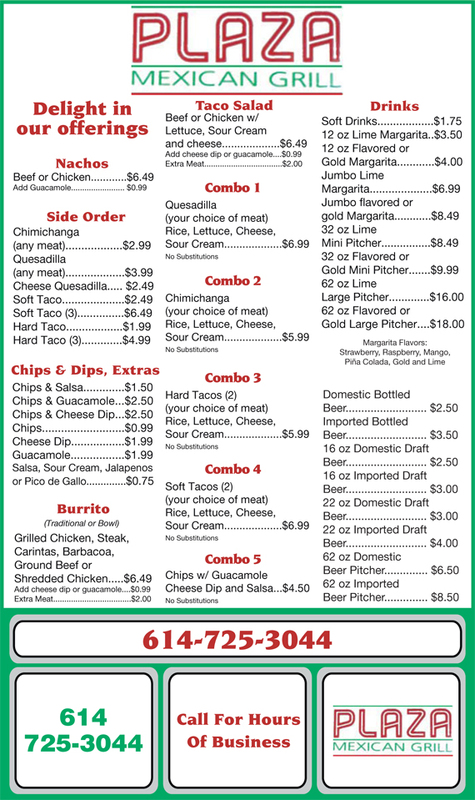 Chicken chimichangas, cheese quesadillas, tacos, margaritas, and beers—these and more are what Plaza Mexican Grill of Columbus, OH offers you. We are the place to be for mouth-watering offerings and a great restaurant ambience. Enjoy with family and friends only at Plaza Mexican Grill of Columbus, OH!